Scientists welcome relative windfall after years of stagnating funds. Research facilities and medicine were among the winners for science in Australia’s 2018–19 national budget, which was proposed on Tuesday. The government will push to invest almost Aus$1.9 billion (US$1.4 billion) over the next 12 years in shared research infrastructure — such as microscopes, supercomputers, a marine observing system and telescopes used in myriad disciplines, from nanotechnology to oceanography. The new money is in addition to the $2.2 billion-plus that the government committed to spend on research facilities and programmes over 10 years, announced in December 2015. “We’re pretty excited about that,” says Kylie Walker, chief executive of Science & Technology Australia in Canberra, an umbrella organization of scientific societies that represent a combined 70,000 researchers. Medical research will receive an increase of $1.3 billion, to be spent on various programmes and initiatives over 10 years that improve health and boost the medical industry, including $500 million for a genomics and precision-medicine initiative. The government currently spends about $1.2 billion on medical research a year, according to the Australian Academy of Science. “This is a great budget for medical research,” says Tony Cunningham, president of the Association of Australian Medical Research Institutes in Melbourne. Rosalind Dubs, board director of the Australian Academy of Technology and Engineering in Melbourne, told Nature that a national space agency will ensure Australia has clout when interacting with other countries’ space agencies, such as NASA and the UK Space Agency. This will ensure Australia’s continued access to Earth-observation and global positioning satellites owned and operated by other nations, she says. Australia depends on these for weather patterns, emergency responses and monitoring for agriculture and financial technologies. Increased funding was also announced for technology infrastructure, including $161 million over 4 years to improve the accuracy of satellite positioning over Australia. Dubs says investment in space infrastructure will help boost industry productivity across the economy. The budget also sets aside $4.5 million over 4 years to encourage more women to study and work in science, technology, maths and engineering. “The allocation is small, but the signal is important. It says the government is taking this issue seriously,” says Walker. The final budget will require the Senate’s approval. Researchers have been lobbying for several years for long-term investment in Australia’s shared research infrastructure. 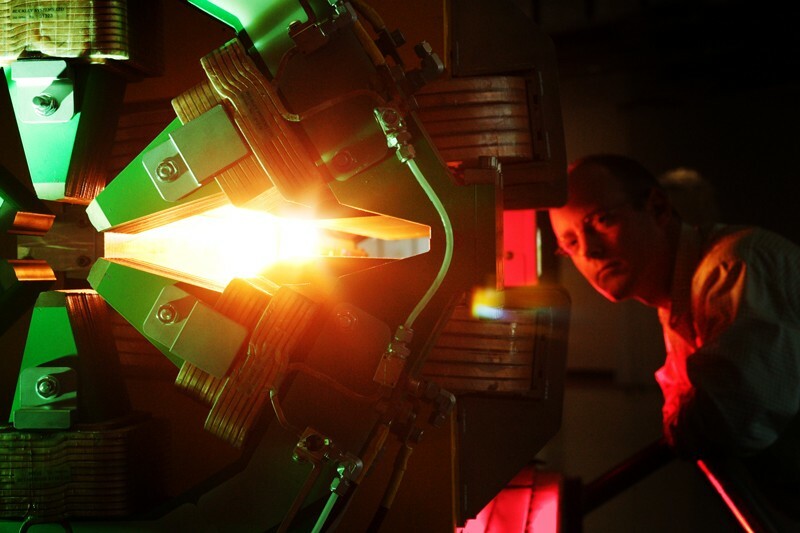 This includes 27 facilities that are used by more than 35,000 local and international researchers under the National Collaborative Research Infrastructure Strategy (NCRIS), as well as other major shared facilities such as the Australian Synchrotron, in Melbourne, and the Open-Pool Australian Lightwater (OPAL) Research Reactor, near Sydney. “Research infrastructure has been funded on a year-to-year basis for a long time, which made it very vulnerable,” Walker says. A political stalemate in 2015 between the centre-right Liberal government of then-Prime Minister Tony Abbott and the opposition Labor Party saw many of these NCRIS facilities nearly run out of money to keep their sites open and pay staff. Last May, the country’s chief scientist, Alan Finkel, released a report that recommended the government direct its long-term infrastructure investment in nine key areas, including advanced fabrication and manufacture, complex biology, Earth and environmental systems and advanced physics and astronomy. Researchers hoped that the government of Prime Minister Malcolm Turnbull, also Liberal, would come up with an investment plan as part of the 2018 budget. Beyond specifying money for new supercomputers and the Australian Animal Health Laboratory in Geelong, the budget did not state which infrastructure projects will receive funding. But Walker says the extra money means that facilities can attract and retain a skilled workforce and invest in capital works to maintain and upgrade equipment. “None of these have been possible in recent years,” she says. The $1.3 billion in new money for medical research includes funding for clinical trials ($248 million) and biomedical research and industry collaborations on health technologies ($94.3 million). “This is a significant increase in medical-research funding over recent years,” says Walker. This money is the second round of investments from the Medical Research Future Fund, an initiative announced in 2014 to support biomedical research. The fund is projected to reach $20 billion by 2020-21. The government has also allocated almost $500 million to help heal the ailing Great Barrier Reef. That funding, which was announced on 29 April, includes $444 million for the Great Barrier Reef Foundation in 2017-18 to tackle threats such as invasive crown-of-thorns starfish (Acanthaster planci) and water pollution. Between 2009 and 2016, the government spent about $500 million on water quality management across the reef. In 2017, a team of scientists concluded that existing initiatives would not meet the government’s water quality targets. Although some researchers welcomed the new money, others say that it will not address the biggest threat to the reef’s health. “Culling a few starfish, and inadequate funding for water quality, won’t deal with the biggest current threat — global warming,” says marine biologist Terry Hughes, director of the ARC Centre of Excellence for Coral Reef Studies at James Cook University in Townsville. “Climate change and Australia’s ongoing love affair with fossil fuels remain the elephant in the room,” he says.